Stick it to ya! In all our years of rampant audiophilia and carefully considered hifi reviewing we've encountered many a strange accessory and tweak. Ranging from the affordable to the downright obscene, some of these gizmos actually did something to the overall sound. Footers tuned their components by applying selective pressure and thus damping certain spots of the enclosure to shift its resonant signature. Comprehensive isolation from bad environmental influences? That in most cases was a far cry from what they delivered. Yet there was and is an alteration to the overall sound. Other mechanical add-ons are the LP dampers and pucks for other spinning discs like CDs. 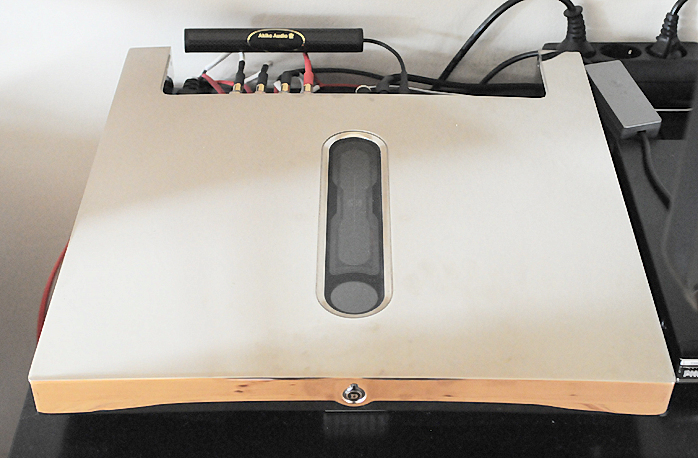 Aside from damping vibrations these often also damp the sound to flatten it energetically. On the power delivery end there’s another truckload of possible manipulators - complete power regeneration, filters of all sorts and lest we forget, audiophile gold-plated fuses with an ultra-pure thin little wire inside. Then there are cables and all manner of enhancers like potions, squalene shark-liver oil and what have we. With the onset a few decades ago of mobile phones and high-frequency devices like DACs, electromagnetic forces and their potential negative influence on the sound became the new favorite target for the inveterate tweakers amongst us. However the best category of tweaks must be the esoteric kind. Here pseudo science runs amok, quantum this and nano that rule supreme and the most brilliant claims are made about the inner workings of the gizmo and its untold benefits which the gullible buyer will realize once he or she has been successfully parted from their hard-earned cash. Here we happily admit that our own arsenal too contains quite a few tweaks across these borders. Some are on active duty like the original ASI resonators (original as in not blatant clones or inspired-by versions). Without these resonators we cannot listen to music, sleep soundly or feel comfortable. Other acquired tweaks eventually ended up with other impulse purchases. Under the bed that is. One that's still used which on first sight reeked of pseudo science is the Shakti Stone. Backed by a patent, Ben Piazza’s black contraption really works (a feature which the Patent Office does not scrutinize) especially in taming high-frequency radiation emitted by the likes of DACs. The effect is neither spectacular nor grand. It merely contributes to a quieter background for the music to emerge from. 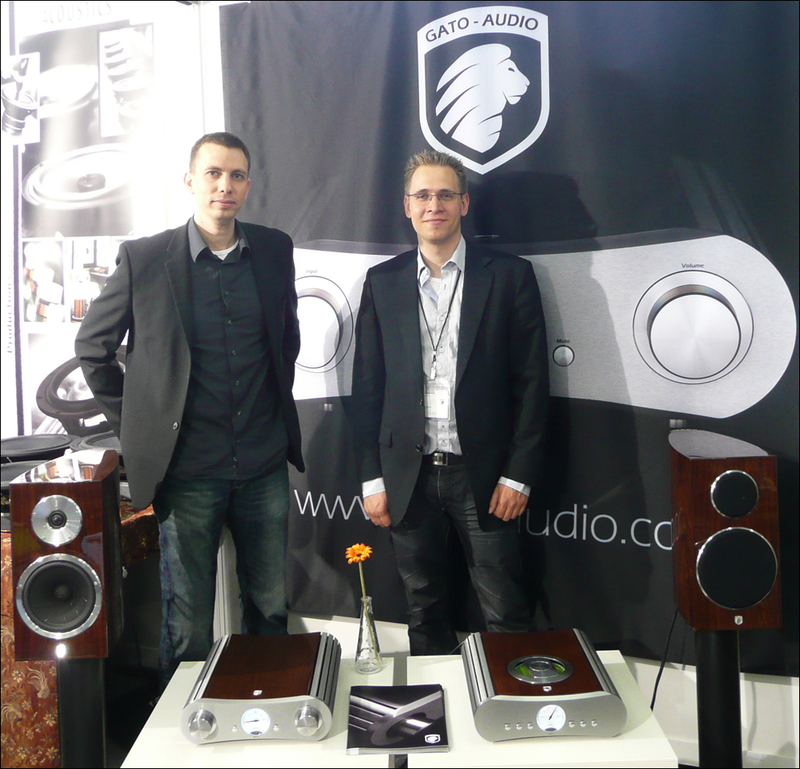 When father and son team Marc and Sander Van Berlo of Dutch Akiko Audio contacted us we were both curious and skeptic. That's because they asked us to review their new tuning sticks. A quick visit to their website suggested that our skeptical nature had kicked in intuitively and right on time. 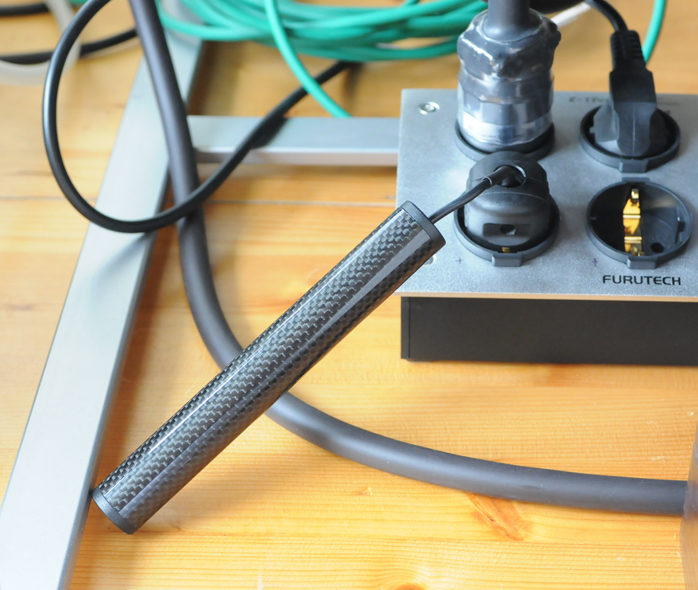 We quote, “... the Akiko Audio Tuning Stick is based on an entirely new-developed technique and absolutely unique to the high-end accessories market. It all came to be by consistently applying known techniques and new insights in the areas of crystal patterns and paramagnetic piezoelectric properties of natural raw materials. This all was brought together in a stylish housing of woven carbon, a modern material capable of enhancing the properties of these materials even further. We translated this somewhat woolly text to mean that a tuning stick is something like a Shakti Stone with its embedded crystals*, magnets and carbon. The energized metal foil sticker pointed us to the at least controversial Franz Gabriel and the wealth of highly commercial followers of his ideas like Memon, Creaktiv and in some part Peter Belt. In short we were dealing with an electromagnetic stabilizer of sorts. Doing a little test wouldn’t hurt and the proposed devices could be easily installed and removed without damage. So we accepted the request and a few days later three variants of the tuning sticks showed up. * Amongst others Jerry Ramsey of Audio Magic has for many years exploited the EMI-suppressive properties of certain crystals and semi-precious stones in his powerline filters. Holger Stein of Stein Music is someone else who comes to mind here with his black room-tuning boxes as does Shunyata's Caelin Gabriel with his 'stardust' compound - Ed.